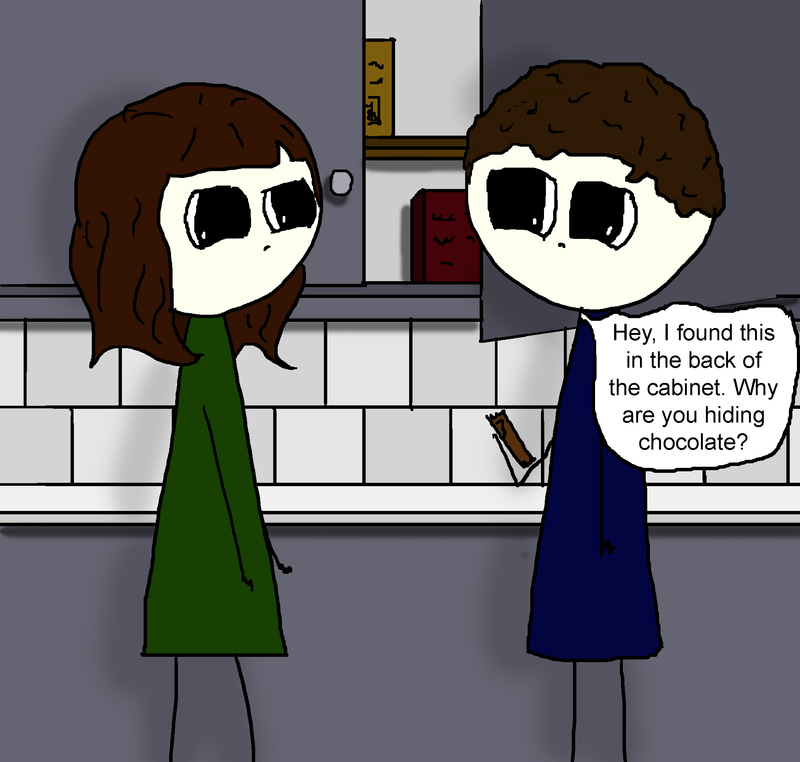 This entry was posted in Human Interactions, Marriage and tagged cartoon, chocolate, hiding, humor, marriage, sweets. Bookmark the permalink. Three words for you. Empty. Tampon. Box. He will never, ever know the chocolate was in the house. That, my friend, is genius. And this is why I wish I’d had the internet growing up. This advice would’ve been so useful in hiding stuff from my brother. Unfortunately, the sort I like would never fit into even a XXL size tampon box 😦 Love the idea though! Oh My, I do believe becomingcliche is professional at this. I would follow her instructions explicitly. I wonder if this will work for potato chips? I’ve tried hiding it, but it doesn’t work. When I go to the current hiding spot it’s always gone. It’s as though you were a fly in my kitchen…Love your posts!! This is hilarious! Let’s just say it’s a familiar conversation lol! I’ve gone a step further and put my candy up in a locked toolbox. Everyone knows it’s in there. One wife, 4 kids and not enough (of my special dark chocolate) candy to go around. Am I am mean or just a smart daddy? Comments welcome. No judgment – I would probably do the same thing.